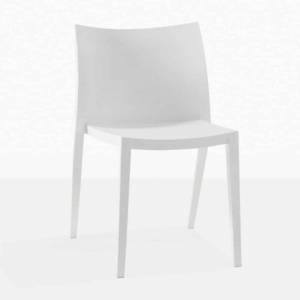 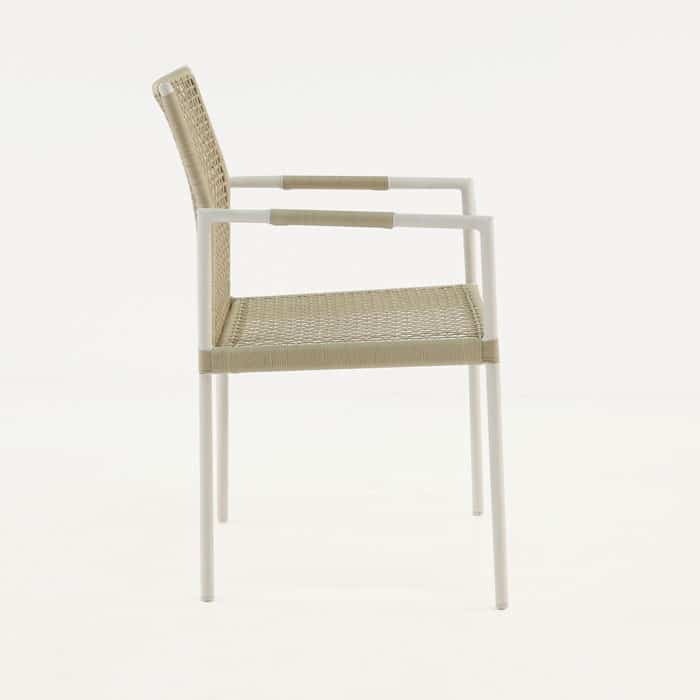 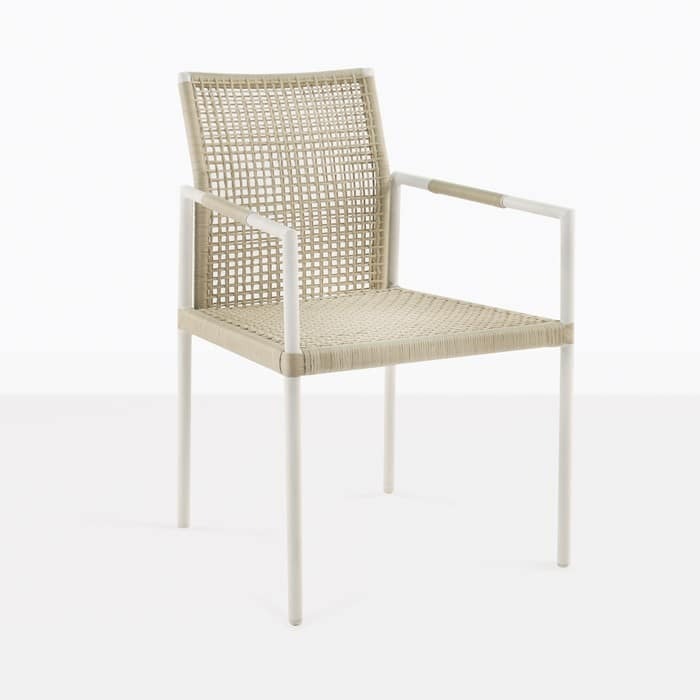 This sophisticated angular outdoor dining chair is a perfect mix between modern and contemporary styling and utilizes high end Ecolene Outdoor String and a strong, lightweight powder-coated aluminum frame. 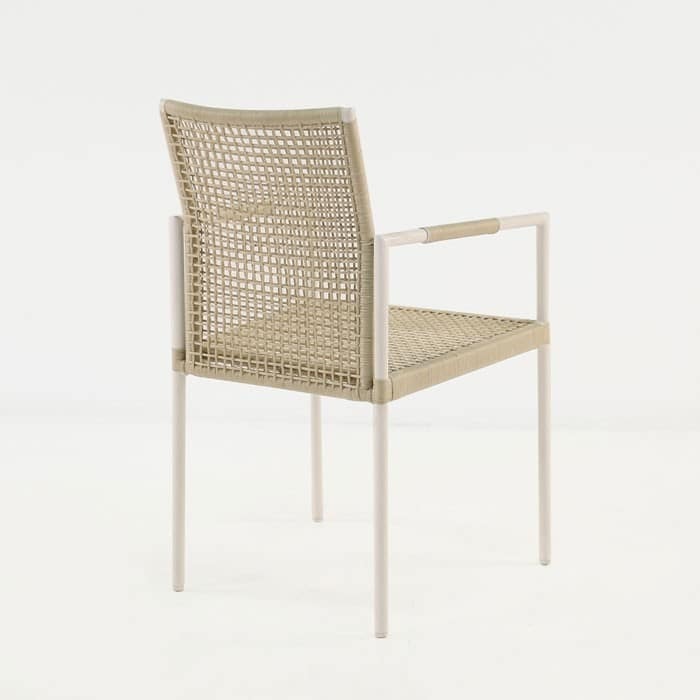 This means you get a lightweight, stable, comfortable and extremely long-lasting outdoor dining chair with a neutral color and super-clean, timeless lines. 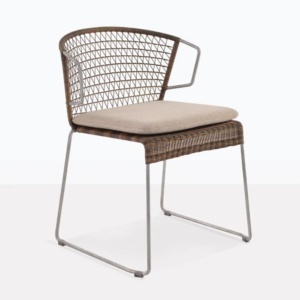 This is an edgy and sophisticated design that can either play the supporting role or the star of the show. 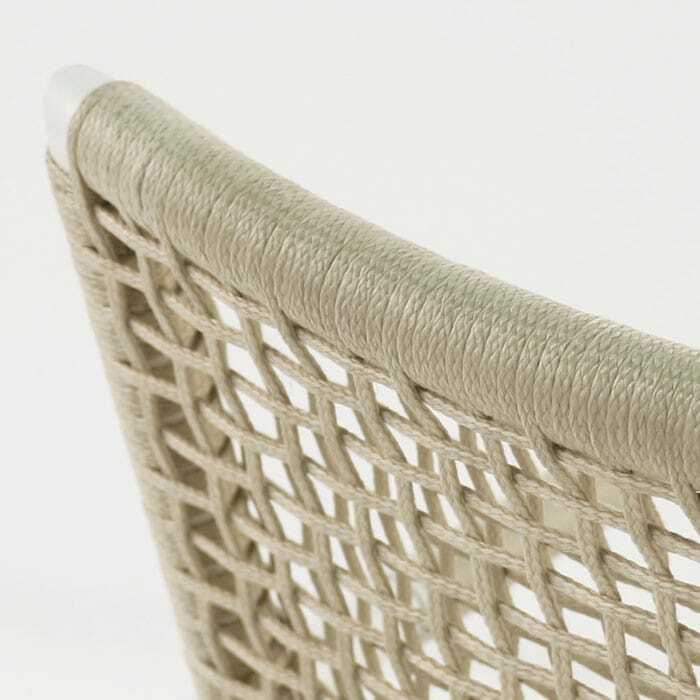 The Ecolene String is an outdoor capable cordage, making this a superior outdoor product.